Imagine a really big shark. No, bigger than that. Really big. I can guarantee that whatever you’re picturing would still be but a snack for the gargantuan menace of The Meg. This upcoming shark caper is the next project from The Sorcerer’s Apprentice and National Treasure: Book of Secrets director Jon Turteltaub, who sounds like he’s way overdue changing his name to John Sharkeltaub. For months now, there’s been a steady stream of buzz building around the pic, with horror fans everywhere eagerly anticipating another shark film after the fairly enjoyable 47 Meters Down. Granted, The Meg will be quite a bit different, but still there’s much to look forward to here and now, as the film approaches its summer release, the marketing machine is getting ready to kick into high gear. 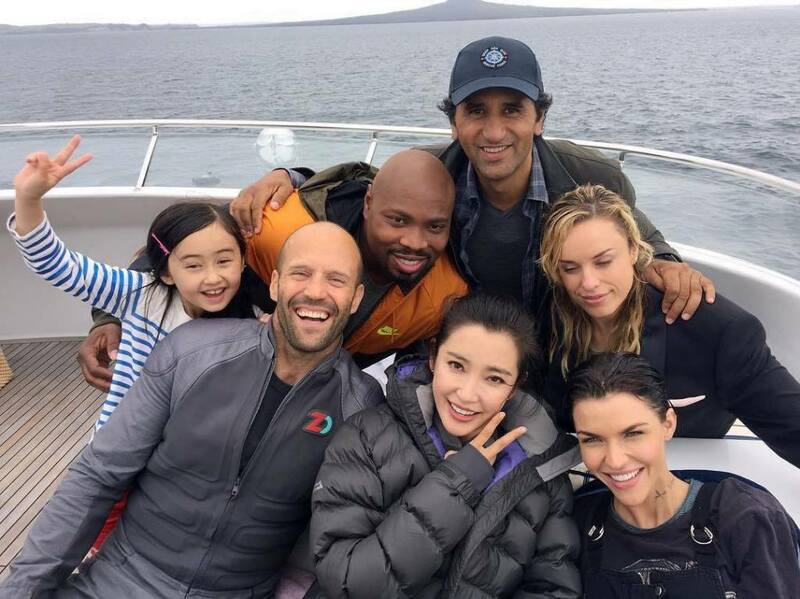 Case in point: a new photo has swam online today (seen below) that shows off the main cast, looking all happy and cheerful. True, this is a behind the scenes pic and not an official still from the film, but we’ll take what we can get. Especially since that first trailer is apparently on the way. Word has it that it’ll debut in April, and likely within the first few weeks – so stay tuned! Based on Steve Alten’s 1997 book Meg: A Novel of Deep Terror, the movie follows the crew of a deep sea submersible as they’re menaced by a giant, hungry monster. Said monster turns out to be a prehistoric Megalodon (hence ‘The Meg’), and its colossal razor-sharp jaws leave the sub trapped on the ocean floor. 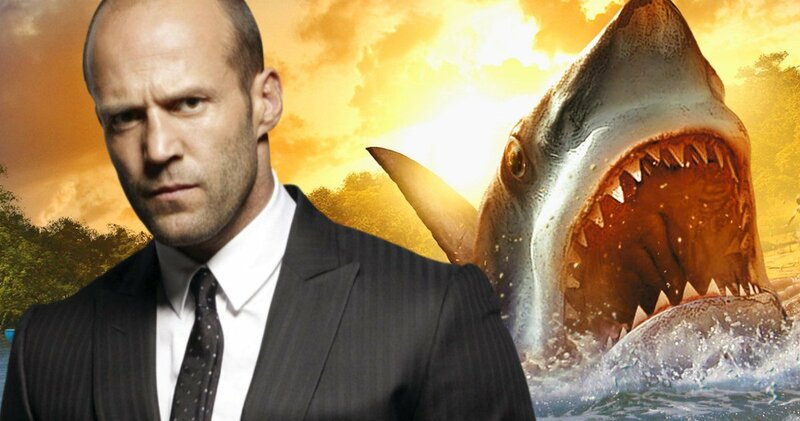 Only one man can face down ‘The Meg’ and save the crew, and he comes in the form of Jason Statham. He’s got a past beef with this shark, having encountered it many years ago while working as a US Navy deep sea diver. Back then, it ate the rest of his buddies and now, it’s time to settle the score. To do this, though, he’ll have to team up with “the daughter of a visionary Chinese oceanographer” named Suyin (Li Bingbing) and presumably kill a really big fish that conveniently embodies all his personal demons. Look for The Meg to swim into theaters and make audiences scared to go into the water all over again on August 10th.